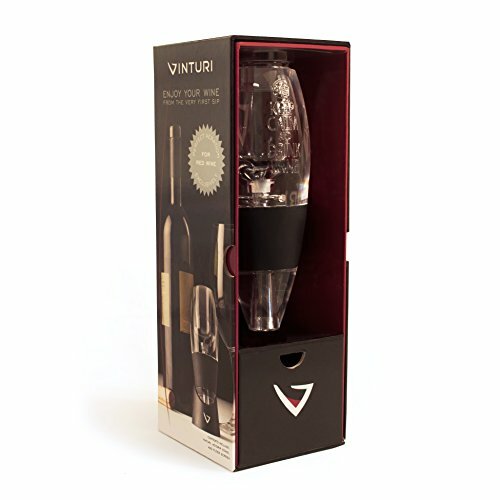 Vinturi's Reserve Essential Red Wine Aerator opens up red wine and speeds up the breathing process for a better bouquet, enhanced flavors and smoother finish in the time it takes to pour a glass - enjoy wine sooner, from the very first sip to the last drop! Vinturi's experience combines superior technology with timeless design that invigorates the senses. 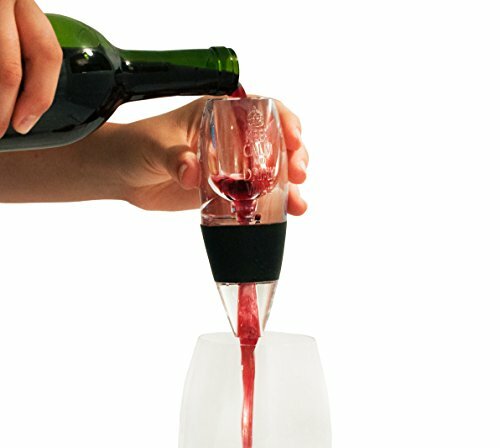 You know the Essential Red Wine Aerator is at work when you hear the unique sound of air being infused with wine; a sound that can only be heard from the patented technology of the Vinturi. As the wine increases velocity, oxygen is drawn in through the air intake channels delivering the perfect glass of wine. The Reserve Essential Red Wine Aerator includes a stand and a cleaning kit, which consists of a cleaning cloth and 3 bristle brushes. Made from FDA-approved acrylic. 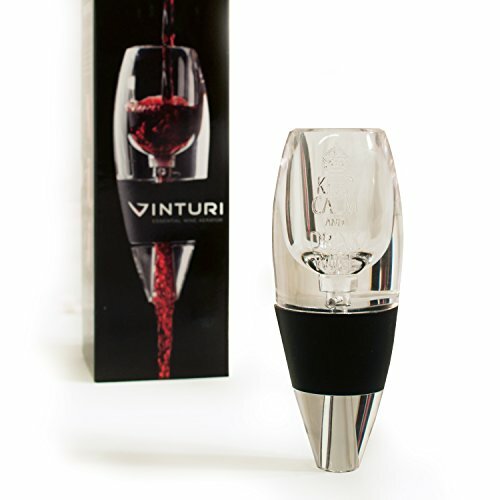 To clean the Vinturi Reserve Essential Red Wine Aerator, simply hand wash or clean in the dishwasher. Both aerator and stand are dishwasher safe. Gently insert the narrow bristle brush into the air channels on the sides of the aerator to clean away any wine or water residue. 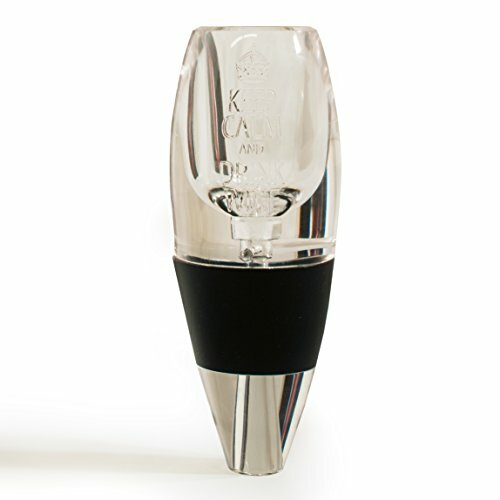 Gently insert the wide bristle brush into the bottom channel of the aerator to clean any wine or water residue. Use the cloth to clean any water spots or residue from the aerator. 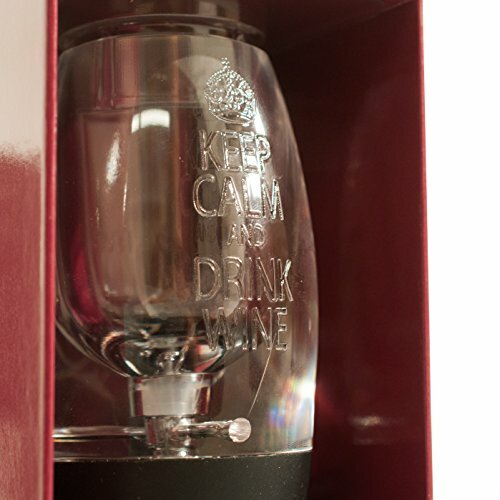 Great to give as gifts for wine enthusiasts or as a hostess gift.